If you are planning a trip to Bhopal, one information is given to you from before. You sure are going to flabbergast witnessing the picturesque view of the lakes of Bhopal. 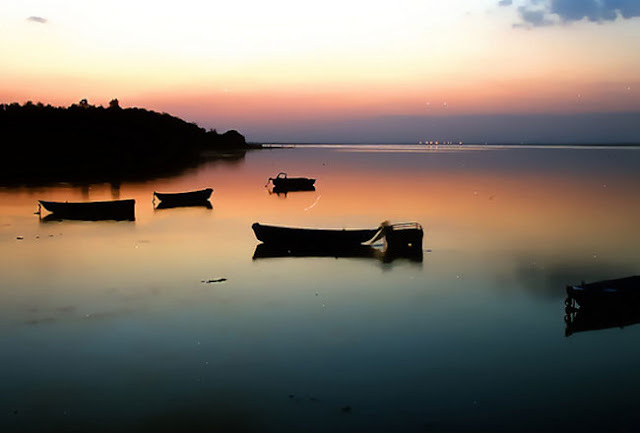 There are more than 17 lakes in the Bhopal city itself. This is why Bhopal is famously known as the ‘City of Lakes’. Book hotels in Bhopal India for your stay at this beautiful city. The city has been serving as a major tour destination for so many years that it remains crowded by the tourists all the year round. Therefore, it is advisable you book your hotel beforehand for your accommodation. Once you are in Bhopal, check out these beautiful lakes of this city. Give it a read. Upper Lake: The famous Upper Lake is the oldest manmade lake of the whole state of Madhya Pradesh. This lake was built by the former ruler of Bhopal, Raja Bhoj. Built on the river Kolas, the amazing and breathtaking beauty of this lake is so charming that you will fall in love with this lake the moment you witness it. There is a beautiful garden named Kamla Gardens which is located just beside Upper Lake. Do check out the moment of sunset from this garden at the banks of Upper Lake. Lower Lake: Right beside Upper Lake is located the Lower Lake. This lake was built much later and is famous for the water sports which the tourists can avail easily if they ant. There is an island in the middle of the Lower Lake and you can actually reach there by boating. Check out this lake in order to stay amazed! Kaliasot Dam: This is another famous lake of Bhopal which is situated at the outskirts of Bhopal city. Check out the dense greenery surrounding this lake. Wild animals often come to this lake to drink water and this lake had made headlines few years back because the tigers were seen around this lake. Do visit this lake and get enchanted with the tranquil environment of this place. Sarangpani Lake: This is another lake which is located inside the Bhopal city. This lake is famous for the beautiful garden which surrounds it. Tourists often enjoy the view of the sunset and sunrise from the banks of this lake. If you want, you can also enjoy boating in this lake. Shahpura Lake: Near Janki Nagar, is located another beautiful lake named Shahpura Lake. This lake is a beautiful one and is big enough to make you come back to this place time and again. Though situated right at the heart of the city, the perfect synchronization of the natural beauty of this lake with the urban buildings around it will sooth your mind. Most of the lakes of Bhopal are properly taken of and that is why the tourists get to make the most out of the lakes of Bhopal. Check out Bhopal hotel rates for your stay and have a grand time ahead while enjoying the fabulous lakes of the Bhopal city! It would be nice if you take someone's picture with his permission. This image was clicked by me and no credit has been given for the same.